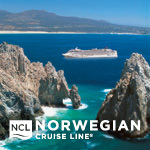 ECSC/NORWEGIAN - Sail to Caribbean, Hawaii, Mexico from $319 & Get Onboard Credit up to $250! 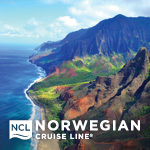 Sail with Norwegian to Caribbean, Hawaii, Mexico from $319 & Get Onboard Credit up to $250! Plavby s Norwegian do Karibiku, Havaja a Mexika od $319 + Palubny Kredit do vysky $250! 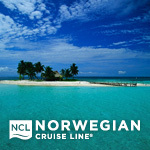 Starting tomorrow you can take advantage of exceptional savings with Norwegian Cruise Line! 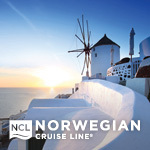 It's not too late to make this the year you cruise like a Norwegian. Dine when you want to, choose a new restaurant everyday, dress up or keep it casual, retreat to your private balcony for the sunset, or party to your heart's content! Choose from the sensational tropical wonders of the Caribbean or indulge in the divine cuisine of the Mediterranean as you discover some of the world's most renowned architecture! No matter what you're looking for, we've got a sailing for you. Don't miss out – these offers won't last long! Take your family on an unforgettable adventure this winter and enjoy our exceptional savings! Contact us to book your Expedia Exclusive Stateroom. Note: *Restrictions apply to all Expedia Extras, please visit our website or contact your Vacation Consultant for more information. 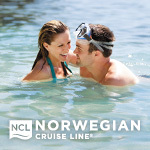 All savings and Expedia Extras are in USD and per stateroom.